Instant Messaging and Calling app are one of the most downloaded app on all play stores. Of these apps, the most used one is WhatsApp which has billions of users all across the world. People use it for instant chatting, calling, sharing stuff, and lately, video calling also got introduced in it. This app works on the internet without creating an id but your mobile number. WhatsApp, just like other apps, could face bugs and crashes and if something like that happens to you, you lose your data. 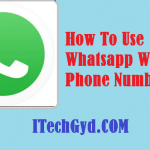 To avoid losing your data, you can learn different ways to hack WhatsApp so that you can get your data back and get back your beloved memories which you had stored in it. For hacking WhatsApp, different tricks are present on the internet. For your ease and convenience, I chose the easiest and different ways to hack WhatsApp so let’s begin. Recommended: Ways to Hack Facebook Account. The first and most common method of hacking this instant messaging app is called Mac Spoofing. This is used to hack other people’s accounts and get all the data you but make sure that you do not do it for some evil purpose. Before telling you the process of Mac Spoofing, know that you are going to need victim’s phone and this could be tricky. To get his phone, you can try tricks such as deleting the app from your own phone and ask victim’s phone by stating reason such as that you want to make a call because you have got no credit. Once you have got the victim’s phone, you will need to follow the steps below to find MAC address for Mac Spoofing. To get the Mac address. following are the easy steps. Go to the settings of victim’s phone and then go in the ‘About’ section where all the phone info is present. Know that Mac address contain 12 numbers and it is different for different phones. Note down or memorize that Mac address. Then find your own Mac address on your phone and write down that as well. Now get spoofing apps which are different for androids, iPhone, and other phones. Get one according to victim’s brand. Replace your Mac address with your victim’s Mac address with the help of this software. Now install WhatsApp on your mobile and do verification process with victim’s number. The message your should get will now be received on your mobile due to the changed Mac address. You can use that to verify the account and have access to his account. After doing that, change your Mac address back to your own. And this is how you easily hack WhatsApp with Mac Spoofing method. 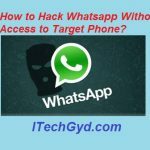 Let us now tell you another easy method of hacking WhatsApp but this time for iPhone users. Read our separate post on how to hack Whatsapp by Spoofing the Mac Address. Following is how you hack WhatsApp using PC for your iPhone or any other device from Apple. Download and install software called Dr. Fone on your Apple device. Then next step should be creation of a connection between your iPhone/iPad device and your computer. Do that with the help of USB data cable and make sure that your computer detects it and so does the tool detects your computer. Once it has been detected, the tool should open a new window like ‘Recover your iOS Device’. At the bottom of this window, you will be able to see an option saying ‘Start Scan’. Click on this option so that the tool will start scanning the data and if you have more data in your account, it will take more time. Now the data recovered by the tool will be in sections such as messages, pictures, videos, and other stuff. Now you will need to recover and save each section one-by-one and manually. You can also recover that section only which you need for some work. For instance, if you need to recover messages only, select messages, click on ‘Recover to Computer’, and they will get saved there. 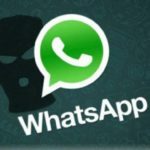 Read the detailed guide about hacking whatsapp using PC. So, this was another method of hacking WhatsApp. If this article was helpful then don’t forget to leave us your feedback about it. Keep visiting our website for more of such amazing hacks and guides. 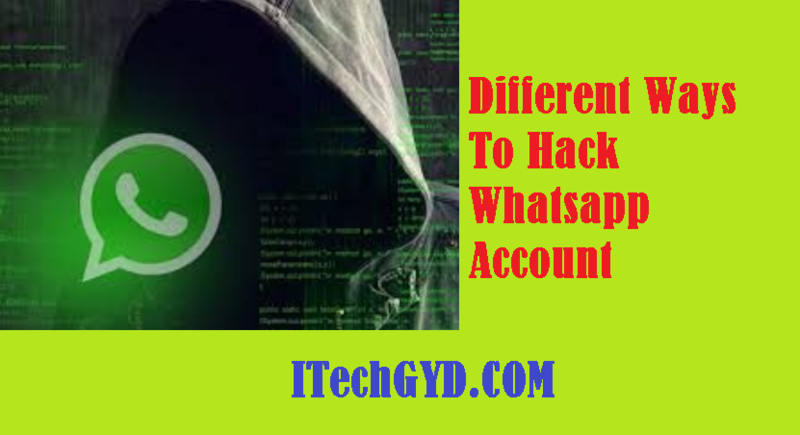 Very informative post with interesting steps to hack whatsapp accounts…..Great Work….! !